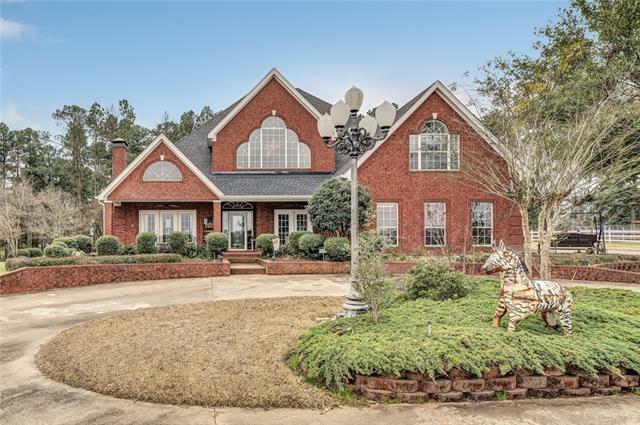 All Hallsville homes currently listed for sale in Hallsville as of 04/24/2019 are shown below. You can change the search criteria at any time by pressing the 'Change Search' button below. If you have any questions or you would like more information about any Hallsville homes for sale or other Hallsville real estate, please contact us and one of our knowledgeable Hallsville REALTORS® would be pleased to assist you. "Sitting on top of the hill on 23 gorgeous acres is the 4 BR, 3 bath 1 half bath ranch in Hallsville ISD. Large family room with built-ins & fireplace, den study with built in desk, bookcases & fireplace. The kitchen has granite countertops, pantry, 2 eating areas & pantry. MBR has trey ceiling, his hers vanities walk-in shower, water closet & walk-in closet. Guest room upstairs w bath, two guests rooms downstairs w jack & jill bath. Awesome patio, pergola, hot tub & sitting area.The property fe"
"Rare find you have been waiting for! 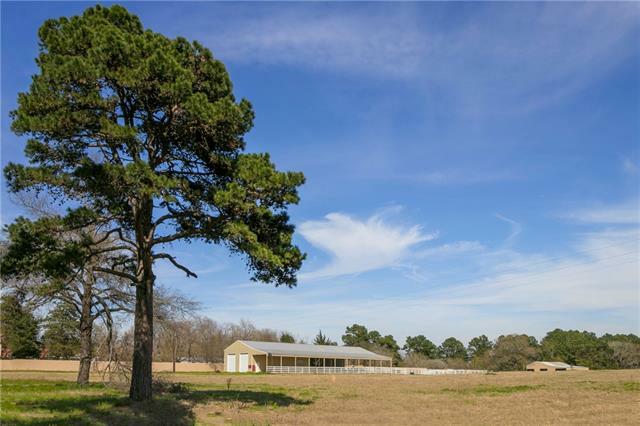 27 acres in Hallville ISD with shop, barn or living quarters. half acre pond, hay barn, 75 foot water well, pasture, cross sectioned, 4 rail fence, 36x40 shop with loft plus 14x40 living quarters completely finished with full kitchen, bathroom, bedroom and living room. Shop has concrete floors, heated & cooled and insulated. Two 14x12 ft overhead doors - 1 with electric opener. Stone entry with iron gate and separate gate near shop. 18x60 concrete covered "